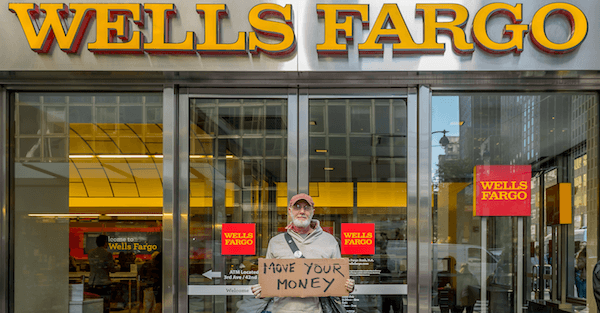 And in late 2016 and throughout 2017, Wells Fargo had its notorious “fake account” scandal, where its employees opened extra accounts for millions of customers so they could hit their sales goals and earn a bonus. And then there’s the time Wells Fargo froze my account for sending a simple wire transfer. I don’t know what else to say about Wells Fargo (and basically every other big bank) anymore… other than I’m outraged with their behavior. I’m sure Jose was relieved Wells Fargo was sorry after literally ruining his life (they did give him a $25,000 check… which obviously doesn’t come close to making up for the mistake). Once again I’ll ask… how does anyone actually do business with Wells Fargo anymore? These people are outright criminals (if you or I committed any of the acts above, we’d be behind bars).